Video of some sorority sisters who attended an Arizona Diamondbacks game but spent the entire game taking "selfies" of themselves and their food went viral this past week, but the episode turned into an excellent PR lesson. 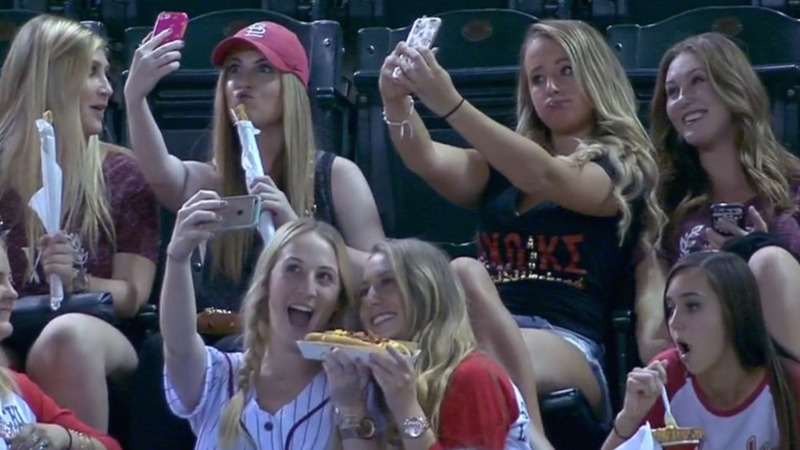 The girls' actions went viral on social media when FOX Sports announcers caught them taking selfies of themselves and their food during the game, repeatedly pointing the camera on the sorority sisters as they continued to NOT watch the Diamondbacks play the Denver Broncos, instead making "duck faces" and laughing at their own camera phones throughout the game. When the video went viral on TV news shows and on social media, the Diamondbacks offered to give them all tickets for a "re-do" - and attend yet another game. "Alpha Chi Omega at Arizona State University would like to thank the Arizona Diamondbacks and Fox Sports for reaching out to the chapter after last night’s game and subsequent media frenzy. We appreciate their generous offer of tickets to tonight’s game. However, instead of chapter members attending the game, we have asked the Diamondbacks and Fox Sports to provide tickets to a future game for families at A New Leaf, a local non-profit that helps support victims of domestic violence." Whether the ingenious and socially responsible response was their own idea or that of the organization's PR team is unknown - and not really relevant. The fact that someone was smart enough to capitalize on the sorority's instant fame from their sports "sin" of not paying attention to the game to do some good for an organization is a PR "win."